This was many years ago before she was a Food Network Star and the darling of the online culinary world. She was writing a cookbook called Sabor: A Passion For Cuban Cuisine and had stumbled onto my blog and a recipe for Guava and Cheese Stuffed Torrejas. It was my original recipe? It was. Could she include it in her book? Of course. We talked for well over an hour that day and became instant long distance cyber-friends, the way it happens with Cuban women who have everything to talk about. That, people, is what friends are for. I love Ana so much. She’s smart and funny and oh-so down to earth. And also, generous. Which brings me to what we’re doing today. Three bottles of her Skinny Latina Marinade. Some seriously cute Skinny Latina pot holders. 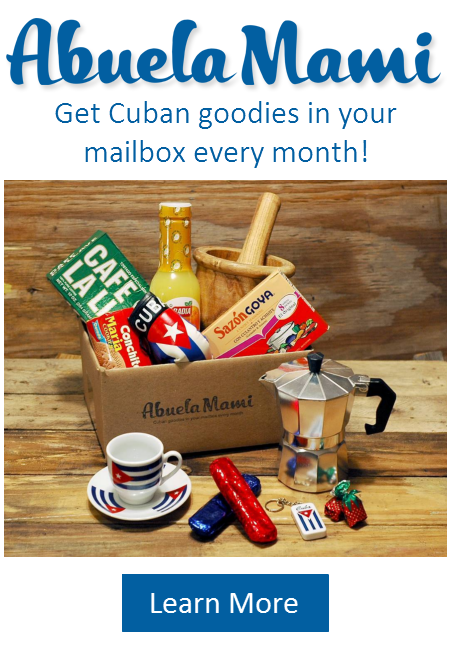 What’s your favorite Cuban dish to cook? I’ll be choosing a winner on Saturday, December 17th, 2016. You have until then to enter. You can follow Ana Quincoces online right here. You’ll also find her on Facebook hosting the Studio D Show. She can be found on Instagram and Twitter as @AnaQooks. As soon as I receive your physical address, I will ship out these goodies to you. Yay! Merry Christmas! OMG I have never won LOL let me try my luck again LOL. I totally love arroz con pollo a la chorrera con tostones o maduros yum yum!! I would say Picadillo over rice with a huevo frito on top is my favorite to make (and eat) but really ANY Cuban dish is fun to make! Let’s not forget the flan de Queso for dessert. I’ll have to stick with the classic picadillo but I luv just about every customer an dish. I also love my mommas rice pudding but haven’t got it right myself. Hi.Let me try again ? My favorite cuban dish to cook: arroz con pollo a la chorrera (con arroz valencia y cerveza). Y maduros de acompañante ? Gracias,feliz navidad y suerte a todas? I agree…..a la chorrera w beer. Yummy! I’ll have to stick with the classic picadillo but I luv just about every cuban dish. I also love my mommas rice pudding but haven’t got it right myself. My favorite Cuban dish to make is Arroz con Pollo;), but I like to cook Cuban food in general, lol. My favorite Cuban dish to cook is vaca frita. My mouth is watering right now just thinking about it! My favorite Cuban dish to cook is arroz con pollo. Let me seeeeeee there are so many but my favorite to make and eat has to be Milanesa topped off with a squeeze of lemon, white rice smothered in black beans, and a side of MA-DU-ROS. There is always an argument about whether to make Maduros or tostones. MADUUUUUROS Please! :D. Thanks Martha, for all your great posts. It would have to be ropa vieja with tostones and frijoles negros! My favorite dish to cook is my mother’s recipe for ARROZ CON POLLO IMPERIAL. As sides I usually add plátanos maduros and a good, colorful Cuban salad (tomatoes, lettuce, cucumbers and avocados). Love ❤️ that you are promoting Latin cooking! Merry Christmas! ? my favorite Cuban dish to cook is Rabo Encendió con arroz blanco y frijoles colorados! Black beans and rice every week!!!! Ready to try some new recipes! So many favorites! I love making carne con papas or picadillo con arroz blanco y frijoles. And anytime I make either, my kids ask for seconds and thirds! My favorite dish to cook is ropa vieja. My favorite Cuban dish to cook is Ropa vieja! I made it for my now husband about 2 months into us dating and he was hooked from there. Picadillo is probably my favorite to make. Also, while a bit more time consuming, I love making arroz imperial, which isn’t as easy to find in NJ as in Miami. My Favorite Cuban dish to cook is Ropa Vieja 😀 so good!! OMG! In my retirement I have been trying to recreate some of my childhood favorites. My number one favorite has many votes on the comment page. I discovered your picadillo recipe and it is by far my favorite, along with white rice and maduros. Then use any leftover picadillo to make empanadas! 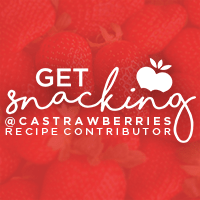 I love your blog and the recipes! 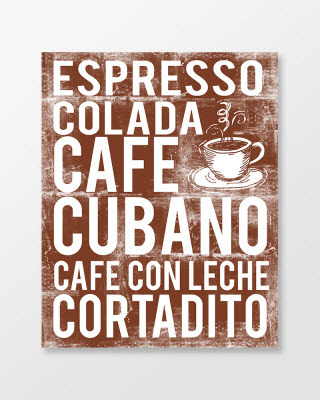 Your mom is great and I’m discovering so many Cuban stuff on your blog. 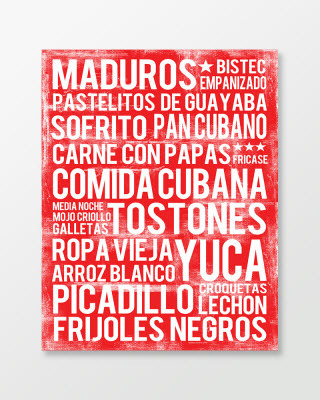 I’m re-doing my kitchen soon and your Cuban food sign has its own wall! Arroz con pollo, my favorite of all time. My favorite Cuban dish to make is Piccadillo with cubed fried potatoes in top. Over rice, of course. My favorite is Mojo Pork with rice and beans. My favorite dish to make is picadillo con arroz blanco y frijoles negros. With the left over picadillo I love to make papas rellenas. My sentimental favorite and all time comfort food—arroz con nuevo con plátanos maduros. Oh the childhood memories always flood my mind when I make the meal. Congri is my favorite Cuban dish to prepare for my family. It goes good with anything and is yummy by itself as well. Good old Cuban comfort food. My favorite Cuban recipe is one in my Cuban family for generations. “Frijoles a la Menocal”. I have never seen this recipe in any cookbook so far. Black beans cooked in red wine instead of water. I am lucky to have had the recipe passed down. If I’m cooking…Palomilla, arroz blanco y huevo frito is my go-to comfort food, or sometimes maduros instead of palomilla. If mom’s cooking… pernil! I’m ashamed to say that I’m not a great cook but I’m trying so this giveaway would be perfect. I haven’t tried cooking many Cuban dishes because they would pale in comparison to my Mami’s cooking. I’d have to say my favorite is lechon asado con tostones y yuca! ????? Arroz con pollo is a family favorite. Although, pastelitos de guayaba are a close second. Flan is my favorite and the most requested by my friends for me to make. It’s gotta be your crockpot lechon. Always a favorite in my house!! My favorite Cuban dish to cook is Fricase de Pollo. My favorite Cuban food is Torrejas! I love making them for Christmas, I make them with ñ Viña 25. My favorite has to be vaca frita with some moros and maduros. 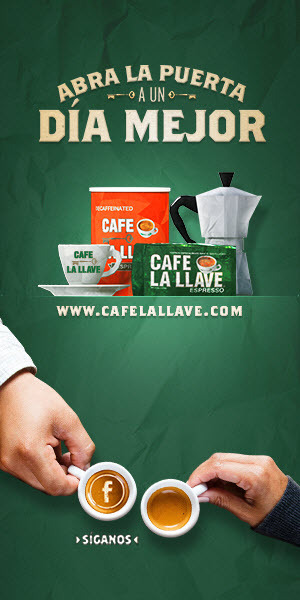 Oh, and you have to end it with some flan and un cortadito. ? Definitely Ropa Vieja alias Old Clothes! I like to make “enchilado de camarones” shrimp creole on Christmas Day since everyone has had too much pork by then. Accompanied by white rice and Hawaiian tostones. I just received today her cookbook from Versailles Restaurant! Love it! I would be a winner by just winning a copy of your book Marta..this is like getting a grand prize with bonus. My favorite dish is Arroz Congre, lechon asado, ensalada con maduro’s. Oh there are sooo many, my favorite would have to be Boliche! I’m still trying to get it to taste like my Mom’s! Oh, hands down it’s Ropa Vieja. I feel like Picasso when creating this masterful piece of yum! Seriously. Our go to Cuban dish is Picadillo, but one of our winter favorites is Pollo Fricasse (perfect for the snowy Midwest). 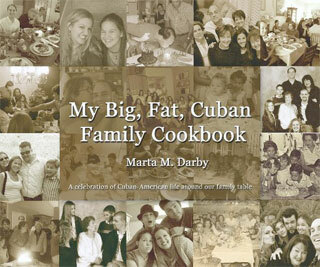 I married into these wonderful Cuban recipes and have loved learning how to prepare them from my mother-in-law. Omg!!! My favorite dish to cook and I’ll be cooking it tonight for dinner is Fricase de Pollo with a side of Platanito Maduro. I’be loved this dish my whole life. My favorite Cuban dish to cook is arroz con pollo! It was my favorite comfort food growing up and now I love making it for my family. Happy Holidays, Marta! My favorite Cuban dish to cook and EAT is: PICADILLO! This is so hard! I love to cook and eat so many foods! If I HAVE to pick my favorite to cook, it would be picadillo! love both of you. i love your recipes and loved how easy the pastelitos were to make. I love your blog!!! My favorite Cuban dish to make is Picadillo , mostly because is so easy and fast to make! My favorite recipe to cook would be my Abuelita’s empanadas. They are an absolute showstopper and everybody begs for them, but they are special to me because we would always make them together. Now that she had passed, I make them every year on her birthday to help keep her close to me and my family. I miss her. My favorite recipe to cook would be my Abuelita’s empanadas. They are an absolute showstopper and everybody begs for them, but they are special to me because we would always make them together. Now that she had passed, I make them every year on her birthday to help keep her close to me and my family. I miss her so much! I have many favorite dishes. But if I had to choose one it would be Frijoles Colorado and Chuletas de Puerco. OMG my favorite! I like to cook arroz con pollo a la chorrera, avocado salad, and platanitos maduros. Yum; I’m making it tomorrow. My favorite besides the typical lechon, congri y yuca are buñuelos. In my house they are only made with yuca and served with an anise syrup…love them. Besides the traditional Nochebuena food, a must is a birthday cake; for me, since my birthday is on Nochebuena. Everybody asks how does it feel to be born at Christmas? 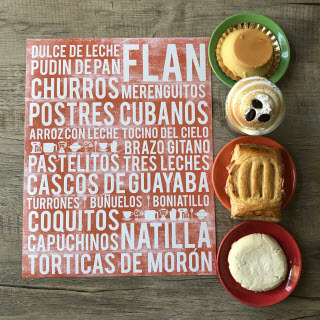 I say great because I eat my favorite food, celebrate my tradition (a true born Cubanita) and enjoy my cake and buñuelos with my family. My favorite Cuban dish to cook is mybigfatcubanfaniku recipe for Tamale en Cazuela. It is always a hit. Full of flavor and just provides that comfort feeling. Omg I must have this awesome giveaway!! My favorite Cuban dish to make is picadillo. Happy holidays! My favorite Cuban dish to cook is black beans, it is also so my husband’s favorite. My absolute best Cuban dish that I love to cook for my familia has to be arroz con frijoles negros y bistec y maduros? ?❤️ Oh and how can I forget the Jupina???? My favorite Cuban dish to cook is “potaje de frijoles colorados.” When I make them EVERYBODY raves about how delicious they are. I do it the old fashioned way: from soaking the beans over night to using the stovetop “olla de presion” that my mom gave me 15 years ago. First time posting, long time cooking my favorite of your recipes… Picadillo. Freezes so well so I have lunches to take to work. Y mi abuela nunca me enseñó cocinar aunque me fascina <\3 Thank you!! I love to make albondigas (little bombs-meatballs), great to take to a pot-luck party. I love to EAT picadillo with black beans and white rice. does anyone have the recipe for pasta para bocaditos like the ones that used to be served at birthday parties? Pimientos rojos. Lo pongo en la batidora y queda deliciosa. I take the bread crust off white wonder bread and I put the pasta inside and I cut them like a triangle. You don’t have to put the potted meat but I like to. I like to make arroz con pollo y tostones.